Erica Bramham releases No Run To Save The Varnish, the haunting debut single from her upcoming album, Songs From A Midnight Room. In 2017 Erica Bramham attempted to write a song every day of the year as part of The Song-Chain Project, a gruelling and inspiring creative challenge. No Run To Save The Varnish is her first studio single to come out of the project, and features a mesmerising, self-directed video. "I am very sensory in my writing, and like to imagine myself in strange situations, putting myself in the place of ordinary objects. Beginning writing for this song I had a very strong image of being dissolved into someone's coffee, which I ran with. I was writing about those small moments of turbulence in a relationship that we can feel very keenly, but I was able to approach that topic from a new and unusual perspective." No Run To Save The Varnish was recorded and mixed at Melbourne's Newmarket Studios by Callum Barter, whose recent work includes Courtney Barnett and Kurt Vile's Lotta Sea Lice, British India's Controller and Broads' No Vacancy. The track is built solely from layers of Erica's voice, woven into a raw and haunting tapestry that underpins the poetry of the lyrics. No Run To Save The Varnish is the first single from Erica Bramham's upcoming sophomore album, Songs From A Midnight Room, to be released mid 2018 on Lungmoss Records. 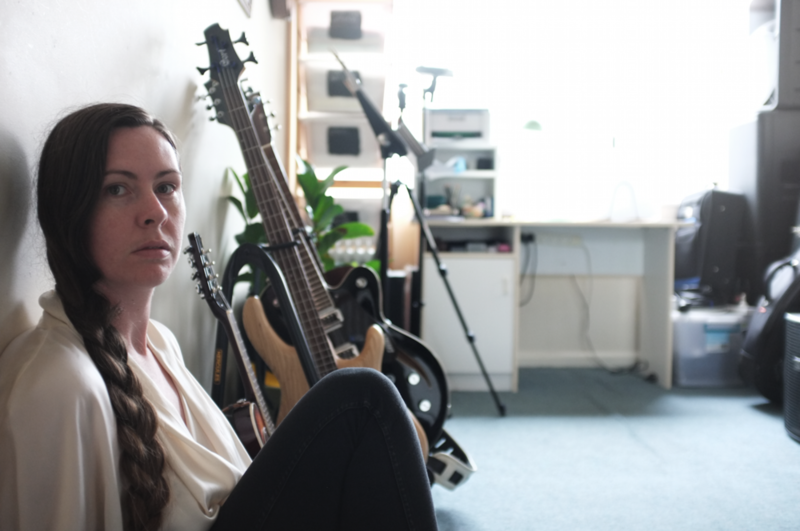 Erica Bramham is a critically acclaimed multi-instrumentalist and composer from Melbourne, Australia. Poetic, inventive and uniquely personal, her work crosses the boundaries between jazz, traditional folk and experimental art music, showcasing her finesse as a lyricist and a captivating performance style that blends song with spoken word and extended vocal technique. 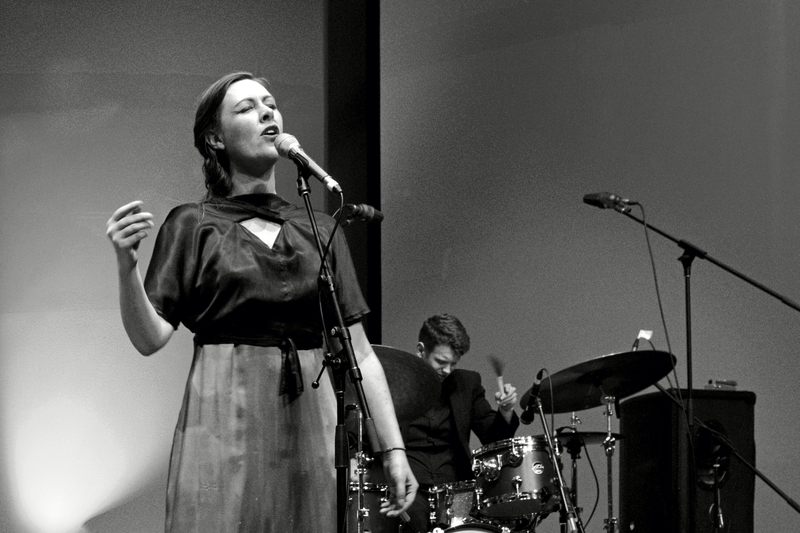 Her debut album, Twelve Moons, was named alongside David Bowie and Vijay Iyer as one of the top ten releases of 2016 on All About Jazz, with UK critic Phil Barnes calling it "a fine record of forward looking modern vocal jazz that shows a way to make interesting, lyrically inventive improvised music” and signalling Bramham as a talent to watch. In 2017 Erica embarked on The Song-Chain Project, an ambitious creative mission to compose, record and share a new piece of music every day for 365 days. The project was a chance to explore the depths of creativity and the challenges that can hinder it, and provided a unique insight into the creative process at work. Since completing The Song-Chain Project Bramham has continued her explorations into creativity beyond the project, addressing the topic regularly through freelance writing and her podcast Mind Over Myth. She is currently working on her second album, a selection of works written as part of the Song-Chain Project, to be released mid 2018 through Lungmoss Records.